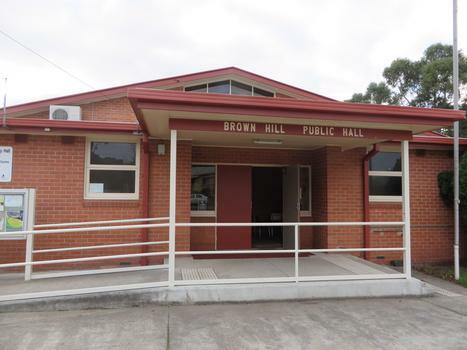 The Brown Hill Progress Association is concerned with all aspects of Brown Hill, a suburb of Ballarat. 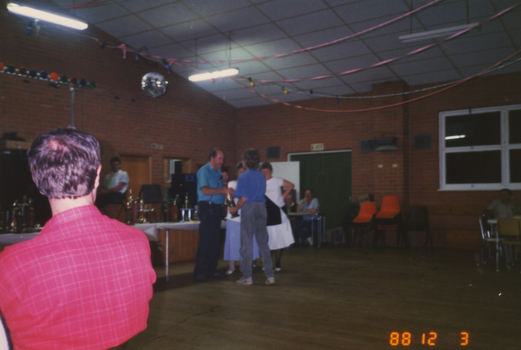 We do not hold a collection of items, but images and other material sourced during 'information gatherings' relating to the Brown Hill area will be housed digitally via Victorian Collection. 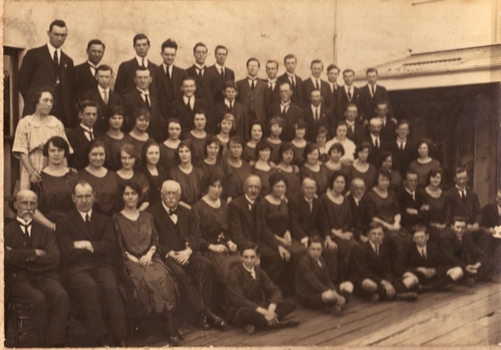 Members of the Kinnane clan in the Brown Hill Hall. 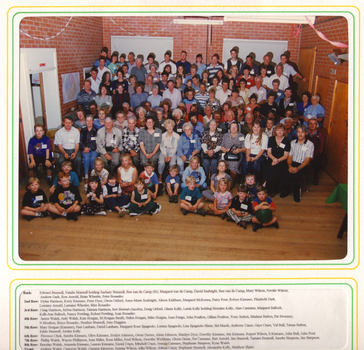 Twenty five children in the Brown Hill State School Grade One school photo. 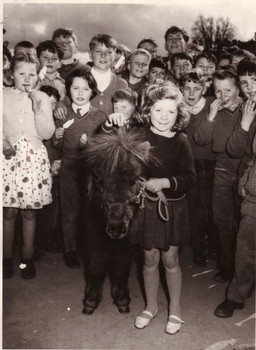 A group of children stand around Annette Myers and her pet Shetland Pony. Verso "Star of the Pet Parade August 20th 1963 Annette Myers was the envy of the school yesterday with her pet Shetland Pony 'Curly Sue'. 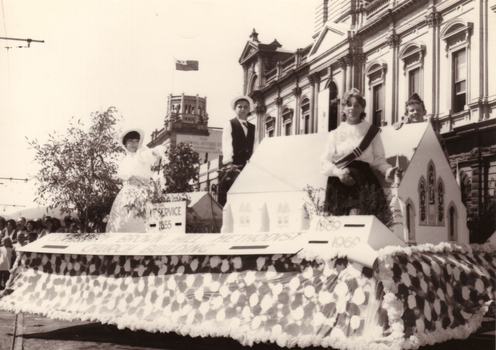 She took it to Brown Hill State School where she is a student and entered it in a pet and doll parade. 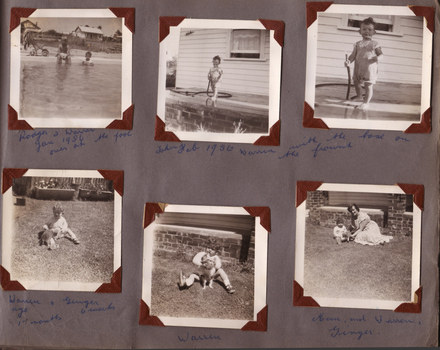 The kids raised 74 pounds for the day"
Twelve photographs from the Harris photograph album. 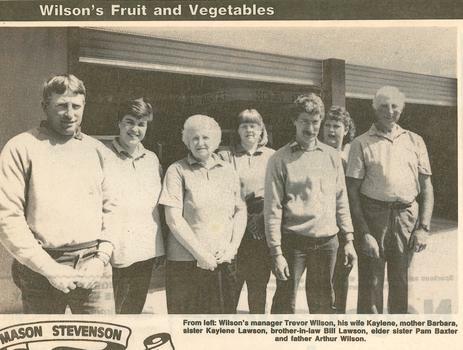 Two clips from newspaper about the Wilsons Fruit and vegetable market. 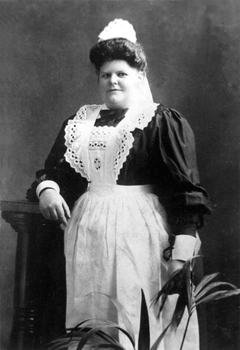 Sarah Jane Ellis was matron of the Ballarat Female Refuge, Scott's Parade, from 1906 until 31 May 1921. 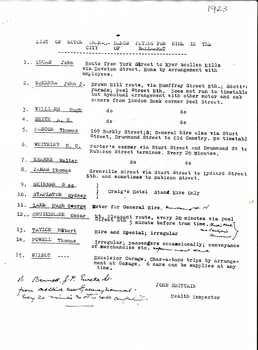 The Ballarat Female Refuge was established in Grant Street by a group of 26 women in 1867. Caselli designed the building in Scott's Parade and unmarried mothers were catered for in this residence from 1884 until 1941. The Alexandra Babies' Home was built adjacent to the Refuge and opened in 1909. The Babies' Home closed in 1973. 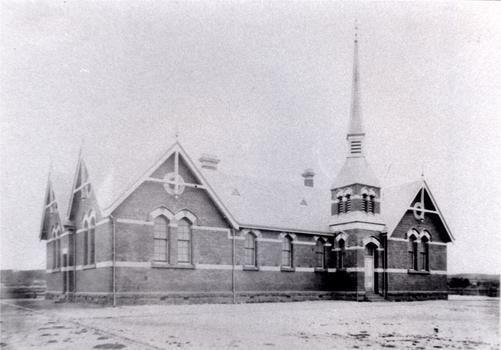 Copy of a black and white photograph of the Brown Hill Methodist Church, later the Brown Hill Uniting Church. 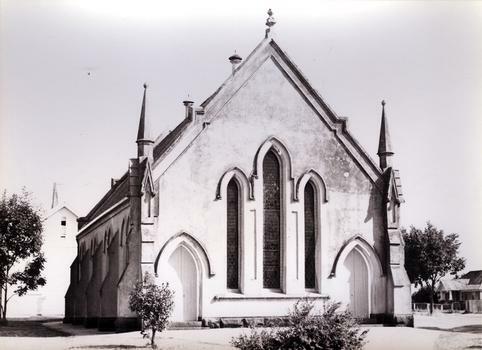 A weatherboard church was built c1857 at a cost of 400 pounds. Itg also served as a school house. The brick church was built in 1969 at the cost of 714 pounds. 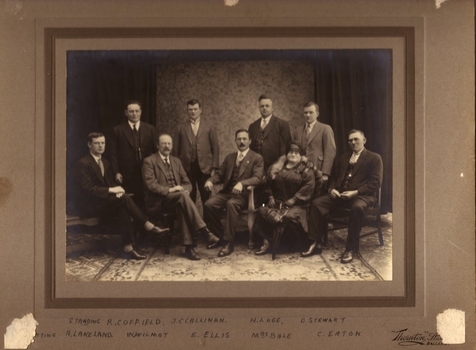 The architect was Joseph Attwood Doane and the foundation stone was laid by George Smith. 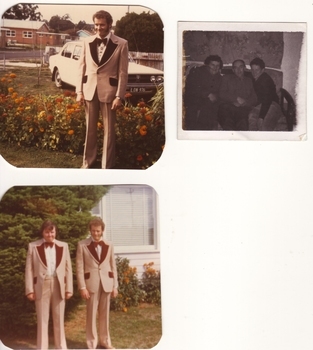 Some of the earliest regular attendees at Brown Hill Methodist Chapel (tent) were Mr and Mrs J.I. Kelly, Daniel Kelly, Mrs Heywood (formerly Kelly), Mrs Powell, Mr and Mrs Robert Allan, Mr and Mrs Fitzsimons. 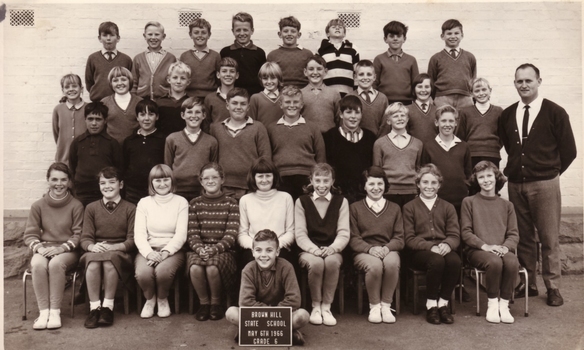 A male teacher stands to the right of a group of Grade 6 students at Brown Hill State School. 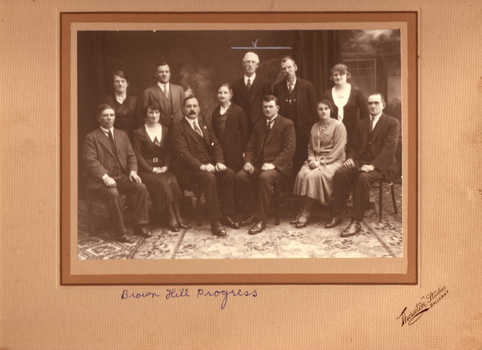 Two photographs of the Comrie family at Brown Hill. 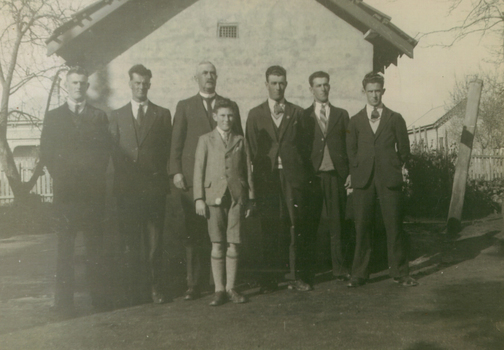 .1) Angus Comrie and sons Murray, Jack, (Angus), Angus, Keith, Thomas, Roy (in front). 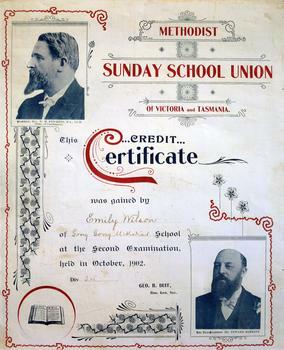 The Methodist Sunday School Hall, Thompson Street is in the background. .2) Jack, Angus, Thomas, Keith, Murray, Roy in front. Seated: Angus (Snr) and Mary-ellen Comrie at 284 Humffray Street North. .1) A number of boys jump into the Brown Hill Pool. 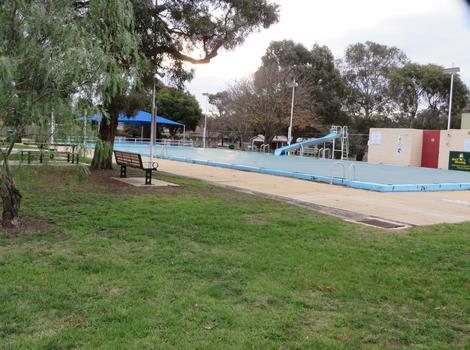 .2) The diving board at Brown Hill Pool. Copy of a photograph of a brick school with tower. 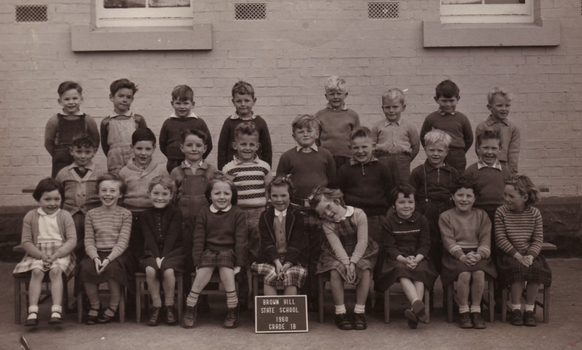 The Brown Hill Primary School is now known as the Caledonian Primary School. 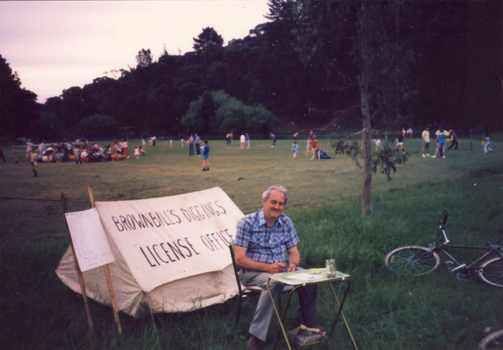 Ed Bawden sits in front of a tent with a sign "Brownbill Diggings License Office. The event is the Brown Hill Family Fun Night. 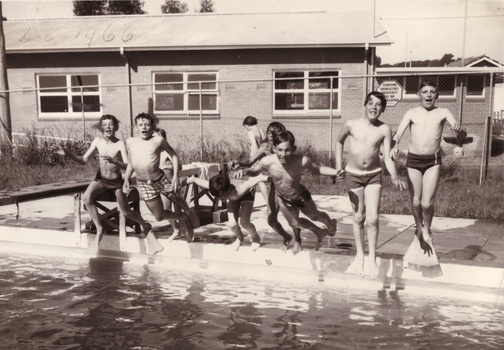 Five photographs showing the Brown Hill Swimming Pool in Humffray Street. 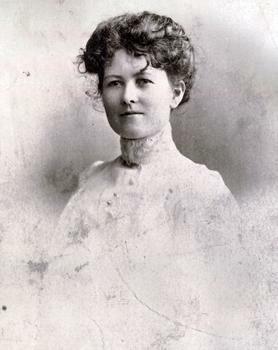 Emilie Wilson daughter of Francis Wilson and Martha (nee Ellis). 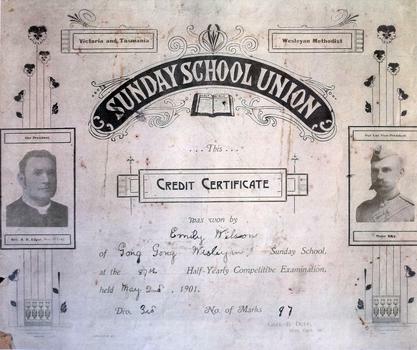 Methodist Sunday School Union Certificate made out to Emily Wilson. 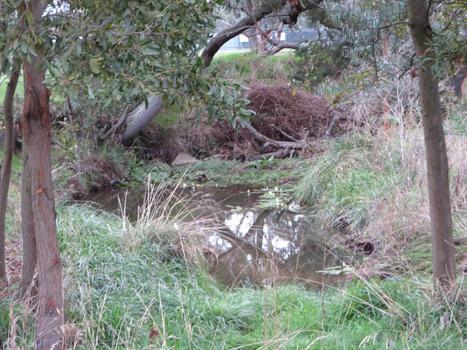 Copy of a photograph of Brown Hill, near Ballarat, Victoria. 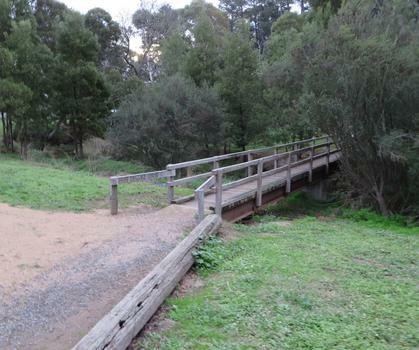 Bridge of the Yarrowee Creek at Brown Hill. 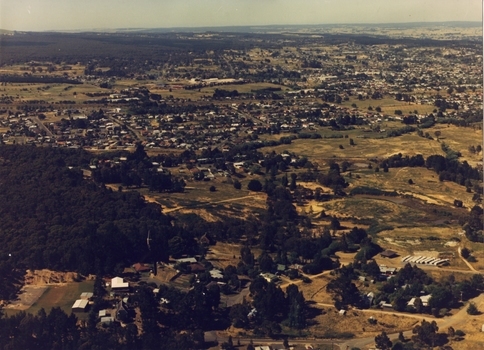 Aerial photograph of Brown Hill near Ballarat. 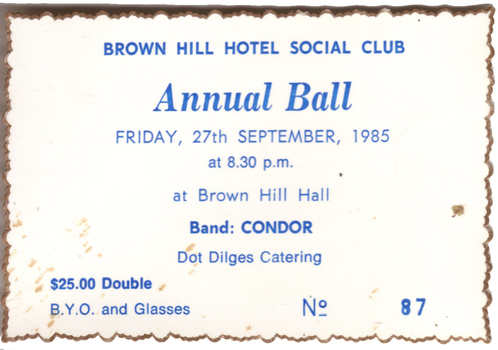 Send an email to Brown Hill Progress Association Inc.